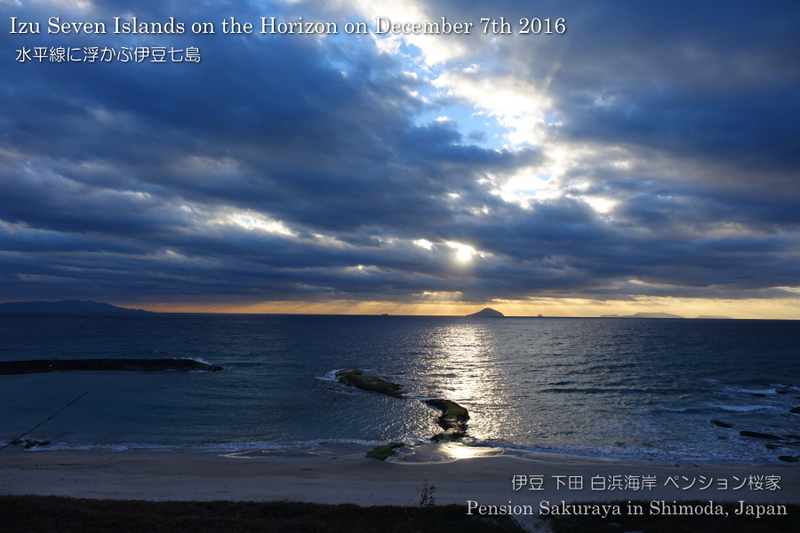 It had been sunny and not so cold today. 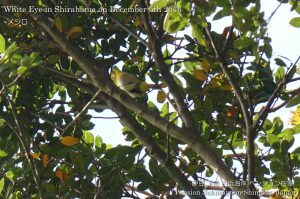 I took some pictures behind Shirahama shrine this morning. 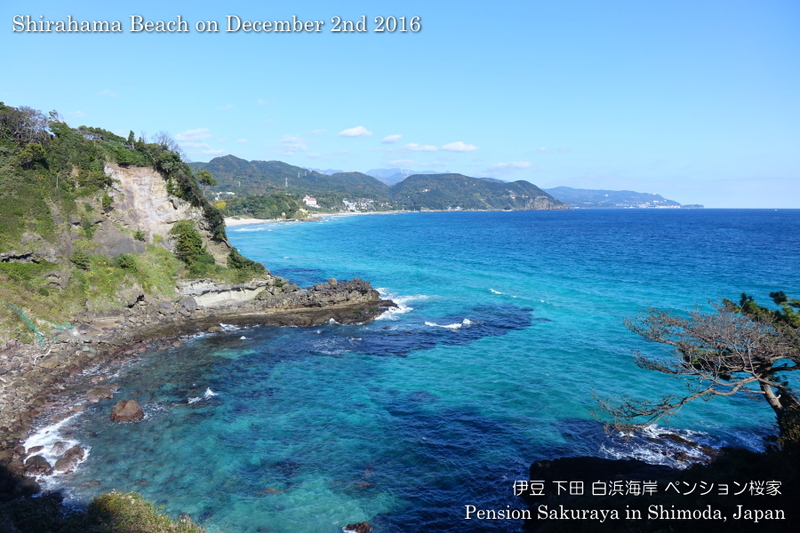 I got some good shots for the next year postcard for our customers today again. Click here to see the other pictures on Facebook. 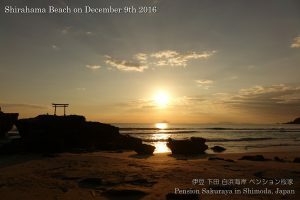 This entry was posted in beach, nature on 2016年12月9日 by izusakuraya. When I took my son to school by car this morning as usual, the beautiful scenery got into our sights! 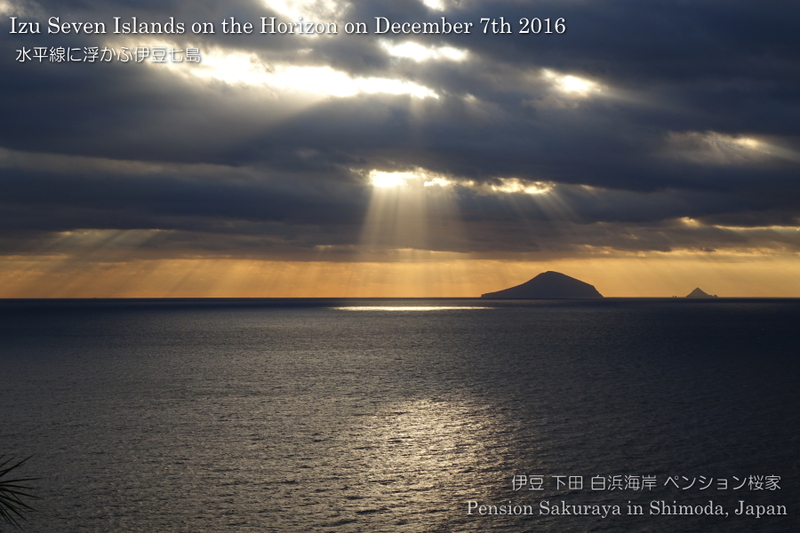 I was lucky to see it this morning and was very glad to be able to take some good shots for the next year postcard for our customers! Click here to see the other pictures on our Facebook. 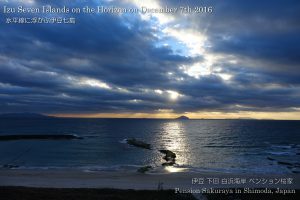 This entry was posted in beach, nature on 2016年12月7日 by izusakuraya. 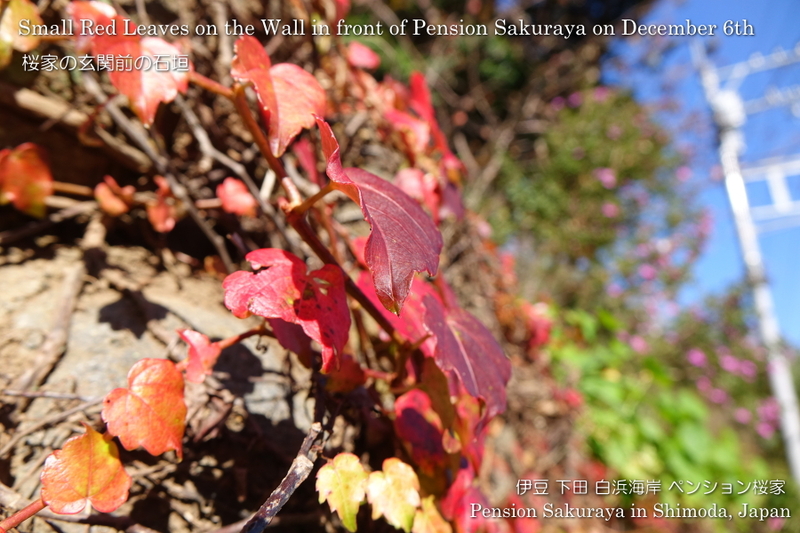 The trees in Shirahama have red leaves in these days. Shirahama district in Shimoda city has warm climate, so the autumn comes very slowly. This entry was posted in 未分類 on 2016年12月6日 by izusakuraya. 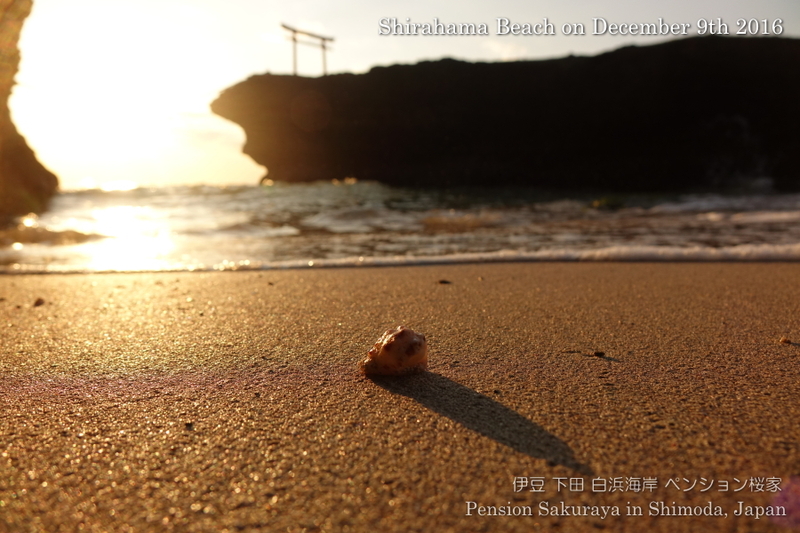 It was very warm again here in Shirahama today. I found out the thistle flowers blooming by the seaside road when I was walking this morning. 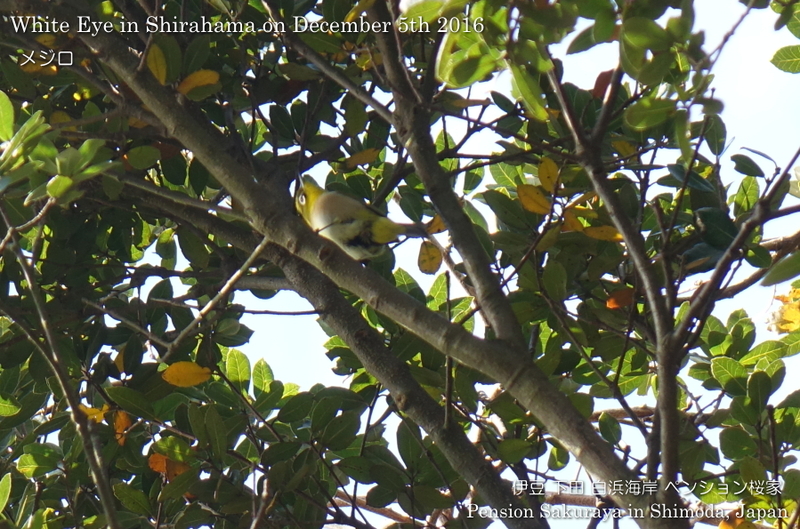 And after that, I saw some white eyes flying to get breakfast on the tree. This entry was posted in Flower, nature on 2016年12月4日 by izusakuraya. The aloe flowers have already started blooming in Shirahama. 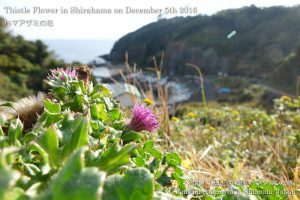 This entry was posted in Flower on 2016年12月3日 by izusakuraya. 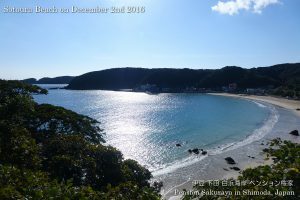 We had rain yesterday, but it became sunny and very warm today. 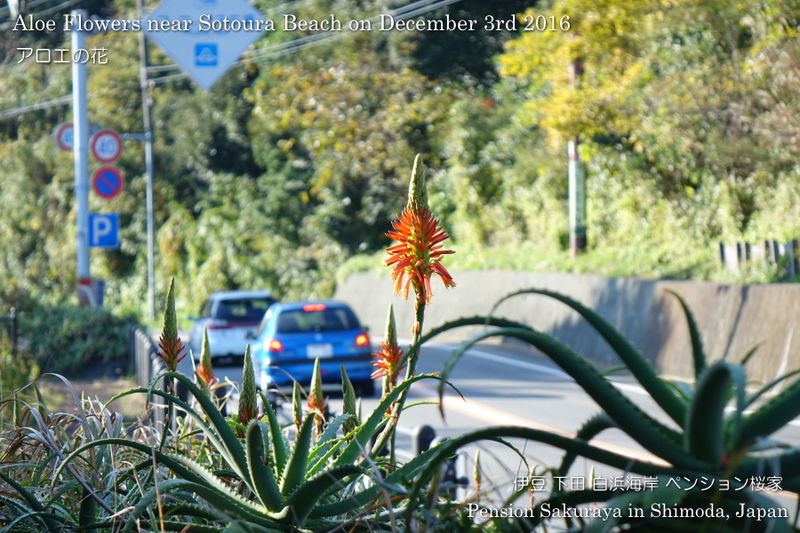 I walked on the seaside road to Sotoura beach. 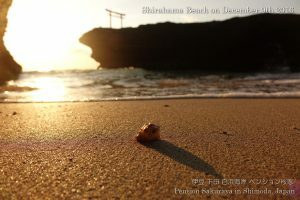 It takes about 15 minutes by walking from Shirahama Beach. This entry was posted in beach on 2016年12月2日 by izusakuraya.